It wouldn’t be a proper trip to Scotland without some rain, and the cross country day at Blair certainly didn’t disappoint. 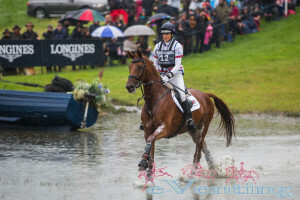 Right on cue, the heavens opened at just past 9am, and with one brief exception for Pippa Funnell, it didn’t let up all day. All week the riders have been telling us you would need to concentrate all the way round Ian Stark’s championship course, and so it proved, with mistakes coming thick and fast. The first rider out on course, Theo Van De Vendel for the Netherlands, came home clear but with 12.4 time faults, despite a nasty moment at the Shepherd’s Bothies at fence 4 where his horse jumped the flower bed between the second and third elements. Joseph Murphy for Ireland unfortunately fell at fence 22, the ‘Tatties’ box at the bottom of a steep hill, when Sportsfield Othello just clipped it. For a moment it looked like Jospeh would hang on, but he was decanted out the side door. Sadly, this was a sign of things to come for Ireland, with two other team riders also eliminated for falls. 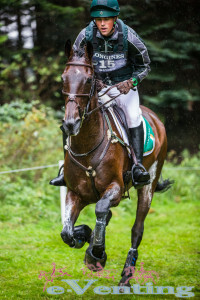 Padraig McCarthy came off at the second corner in the arena with Simon Porloe, who ducked out very sharply at the last moment, and Austin O’Connor and Balham Houdini parted company at fence 19a, Malcolms Lochan, a skinny fence in the third water. Only Michael Ryan and Ballylynch Adventure made it home for the Irish team, albeit with 9.2 time faults. 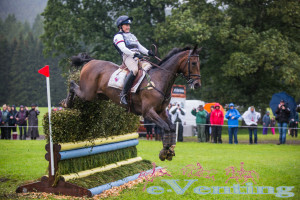 Sam Watson and Camilla Spiers, both riding as individuals, put their previous championship experience to good use to both come home clear with Horseware Lukeswell and Portersize Just a Jiff respectively. Italy’s dreams of Olympic qualification now rest on getting enough riders ranked highly enough at FEI level after two of their four team members had falls and were eliminated. Although pathfinder Luca Roman managed to bring Castlewoods Jake home safely, first Giovanni Ugolotti was deposited at fence 4 when Oplitas left a leg, then right at the end of the day anchorman Pietro Roman fell at fence 16, the double of corners in the main arena. Aside from the Germans, who looked as though their horses had been pre-programmed to run round the course, the round of the day for me came from Italian Emiliano Portale. He gave his mount Rubens delle Sementarecce a beautiful ride despite a long hold on course to repair the ground in front of the influential Haggis, Neeps and Tatties fences. Emiliano commented that he isn’t used to riding in these conditions because “usually in Italy it’s very difficult to get this weather.” With respect to the hold he said “in the beginning I was quite happy about it because it allowed the horse to take a breath, but the hold was quite long so instead of a help it could get worse as the horse gets cold”, however he was pleased the first fence after the hold was a steeplechase fence. It was a day of mixed fortunes for Team GBR. Pathfinder Kitty King rode a well judged round on Persimmon despite admitting to being “terrified” to be out first for the team. Her only hairy moment was at the coffin, where Persimmon launched off the bank after the first rail and over the ditch. 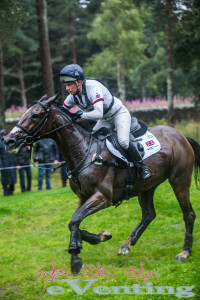 She took the long route at the final water on team orders because “Percy can be a little feisty and the skinny element would be the sort of fence that he might make a little error at just from being over bold and over keen.” They [Team GBR] also wanted to know how long it would take so other riders could be given team orders accordingly. Nicola Wilson was having a super round on One Two Many, albeit with some bold strides at the first two water jumps, when she also fell victim to the double of corners in the main arena. The horse was on a good line and stride, but just never seemed to really lock on to the second element, leading to a glance off. This was a bitter disappointment to Nicola, who had been lying 4th after the dressage. 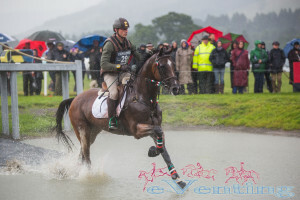 Pippa Funnell had the weather gods firmly on side, and was the only rider all day to get round in the dry. She was delighted with Sandman 7, saying “my biggest fear was that I’d ruin a good young horse by asking him the question too soon and muck up my chances for next year.” However Sandman 7 rose to the challenge and was jumping enthusiastically with pricked ears all the way round the course. 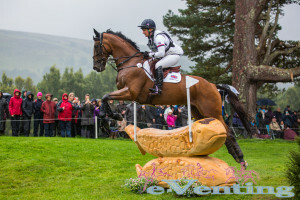 France were living dangerously in the team standings, with second team member Karim Florent Laghouag having a fall at the haggis fence shortly before it was removed from the course, when his horse slipped and failed to take off. Luckily they avoided a total rotational fall, but the pair slid down the hill with the rider’s leg trapped beneath the horse. For a nasty moment it looked like Entebbe de Hus would roll over Karim as he attempted to get back up, but some quick thinking by the fence judge averted disaster and both horse and rider were fine. The French managed to get both Thomas Carlile and Mathieu Lemoine home safely, albeit slowly, to join pathfinder Thibaut Vallette, whose clear round left him in 4th place. All three must now get through the trot up tomorrow and complete the showjumping to give France any hope of regaining their Olympic qualification. The other contenders for Olympic qualification are Sweden and Spain, the only two other teams who got at least 3 members home today. Like France, Sweden are down to three members after Johan Lundin had a fall at the third water with Jonny Cash. Spain got all four of their team riders home safely, and sit in sixth in the team standings going into the show jumping. However, today was all about the Germans. They now sit so far ahead in the team competition that all of the riders can afford to have 3 fences down and they will still win team gold by over 10 penalties. Dirk Schrade was the pathfinder with Hop and Skip, though he is currently the discard score for the team. He was living dangerously at the first water, and then lost a shoe at fence 17, so had to play it safe for the rest of the round since his priority was to get home clear. 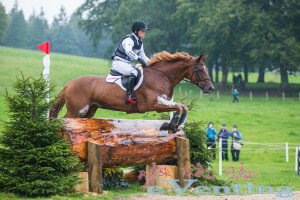 Michael Jung gave his customary cross country masterclass on the youngest horse in the competition fischerTakinou. The 8 year old gelding skipped round clear, Michael obviously trusting that his leg would be fine after his fall last week since he had nothing to grab since the horse wasn’t wearing a martingale or a breastplate. This combination were one of only three who came home in the time. The individual riders also didn’t escape the drama. Much as Holly Woodhead for Great Britain would have loved to have her International Velvet moment after her stunning dressage, it wasn’t to be, with DHI Lupison turning a little tight into the second bothie at fence 4, slipping, and running out left, narrowly avoiding taking out the camera man. 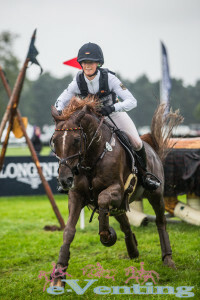 Holly managed to sound sanguine at the end of her round, commenting “you live and learn.” In contrast, Gemma Tattersall and Arctic Soul made up for their dressage disappointment by posting a clear round in the time, pushing them up the leaderboard significantly to lie 7th going into the show jumping phase. 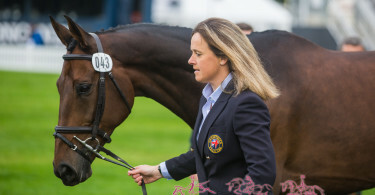 Late Team GBR call-up Sarah Bullimore had a disappointing result with Lilly Corrine when the mare also had an issue at fence 4 – this time a fly-by of the final element after the horse locked on to the flower bed rather than the fence. 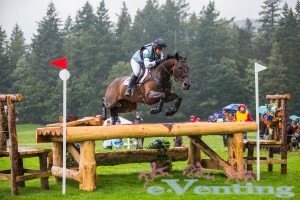 Laura Collett (Grand Manouevre) and Wills Oakden (Greystone Midnight Melody) both came home with clear rounds, though Wills did manage to do a demolition job on the chimney of the final bothie. Blair Castle was always going to be a tough ask for Easy Target, who has formerly run out of steam, and so it proved despite sympathetic riding by Francis Whittington. By the third water, Smokey looked tired, and the final hill up to the Neeps and Tatties was a step too far for the chunky grey, who ground to a halt in front of the fence, where Francis sensibly retired. 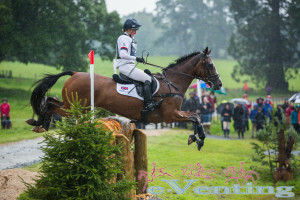 Oliver Townend was having a classy round on Fenyas Elegance, though the tongue flapping out of the side of her mouth was disconcerting for onlookers, until the final water, where the mare somewhat ungenerously ran past the side of the large brush corner. Star of the day for the Brits was Izzy Taylor, whose fast clear inside the time on Briarlands Matilda shot her into 3rd place. Other notable individuals include Nicolas Touzaint for France, who despite living dangerously at the second water fence came home clear to go into 11th place, and Peter Thomsen for Germany, in 12th with Horseware’s Barny. Going into the final day at Blair, the team standings see Germany in gold on 122.70, Great Britain in silver on 169.30 and France in bronze on 179.70. Germany also hold gold and silver in the individual standings (Michael Jung and Sandra Auffarth respectively), with Izzy Taylor for Great Britain in bronze. 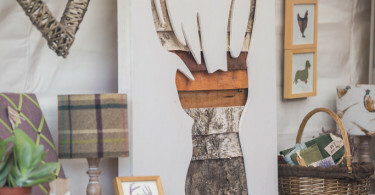 You can see full results here. 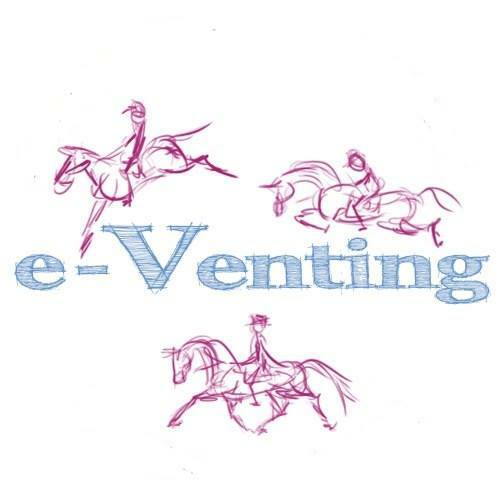 Our coverage from the Longines FEI European Eventing Championship is brought to you by Sportzvibe massage rugs from Horseware. Read our reviews of the Sportzvibe Horse Rug here and the Dog Rug here and here.